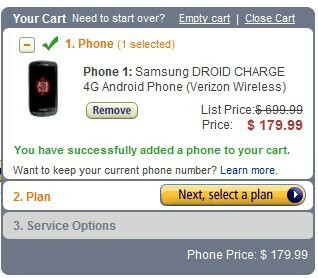 Smashing pass the golden price generally seen with some of today’s top-notch smartphones, Amazon continues to shave the price of the 4G LTE packing Samsung Droid Charge, which is now set at the acceptable price point of $179.99 with a 2-year agreement for new customers. Yup, that’s an additional $20 reduction from the pricing we saw back in late May, but nonetheless, we’d gather that it’s still appreciable by many people out there seeking out the smartphone. However, it’s worth noting that existing customers with qualified upgrades will need to shell out $199.99 for this one. Still, that’s far better than the smashing $299.99 cost that Big Red is asking for with them, but it’s great knowing that Amazon is of course throwing in free shipping with the purchase as well. Considering all the lovely tech that it’s packing under the hood, the new $179.99 price point is easier to swallow for most people. Regardless, we’re confident that we will soon be seeing this one getting yet another price drop in the near future. But the question is, how soon and how much? "Regardless, we’re confident that we will soon be seeing this one getting yet another price drop in the near future. But the question is, how soon and how much?" Correct. Wirefly had a nice little discount for Father's Day ($129.99) so I'd be interested to know if the Charge will received a discount before Verizon gets rid of the unlimited data package. Plus Costco has the ability to pick up the Charge for $129.99 (or $179.99 renewal) I'm really close to purchasing the new Charge (renewing my contract) but still seeing if any promo codes come out or if any companies can drop the price just a tad. Especially for existing customers. That phone should have never been priced at $299.00 at Verizon. NEVER....The Charge is just an oversized Samsung Fascinate. The only difference is LTE, and if you are in an area with NO LTE, then it's a Fascinate. Same processor as Fascinate, .3 inches bigger than Fascinate, and LTE, but then again if you are in an area with no LTE, then opt for a Fascinate and save yourself $200.00. The HTC Thunderbolt, by far is Verizon Wireless Flagship. Had the phone since March 17, and it has truely grown on me, now that I am more used to the LTE and battery life, but you can't beat the Free 4G hotspot feature. Actually the Charge is a pretty decent upgrade from the Fascinate:- Camera: 8MP vs 5MP- Display: 4.3" vs 4.0"- HDMI out- Front facing camera- Battery: 1600mAh vs 1500mAh- LTE- Also, I prefer the tactile buttons to the capacitive (menu, home, back, and search)Agreed that it's not a monumental difference (should be faster processor and more RAM), but I would rather have the Charge over the Fascinate for the more future-proof features (LTE being the killer). After all you will have the phone for 2yrs. Fascinate is already 1yr old. A couple of things that sold the Charge over the Thunderbolt to me is the actual buttons at the bottom instead of the touchscreen. Also, I like the AMOLED screen on the Charge. Simple things, but different strokes for different folks. I just don't like the $299.99 price and have been waiting for a nice little drop. So far I've received discounts for the T-Bolt from Verizon for $139.99, but still just waiting patiently for the Charge to get some drop in price. vette21man, don't get me wrong. If I had my choice between the two, I would pick the Charge over the Fascinate. But for $200.00 more, I don't think so. The little options that you mentioned in your comment are not worth the extra $200 on top of a two year contract. 8mp vice 5mp camera. Who takes those kinds of pics with a phone. You have to be on wifi to send a 8mp camera anyway. .3 inches bigger,--no brainer, HDMI out. Had it on my X, and never used it. Front Facing Camera---No Skype video yet..., 1600 mah vs 1500 mah battery---what is that about 10 minutes of extra usage. Your last one LTE,---that's the only major difference, and if you are in Butte, MT, then I guess you want see LTE until 2013---You can get an cln (certified like new) Fascinate for $39.00. So you can save $260 dollars---is LTE worth that much......(We haven't had it for the last 10 years---so I think we can survive with 3G. another reason the Charge costs more is because it comes with a 32GB SD Card preinstalled which can easily sell for over $50 by itself. I like the discussion, DROIDX0430. Just being devil's advocate here, but 100mAh could be an extra 4hrs of music or 1hr of talk time. And the features you mention you don't use, someone else may (HDMI, better camera, tactile bottom buttons). The absence of future-proofing features (front camera [Skype] and LTE) may well be deal breakers for a phone they will have for the next two years (where those features will soon be ubiquitous). Also, the price is not $299, it's $199 for upgrade, $179 for new contract. Just saying it's worth looking at the added features and deciding for yourself.Really, if Samsung Galaxy S II is coming to Verizon and if you are up for upgrade soon, I would wait for THAT (although not sure it will have LTE). walmart's website has this for $179 with a $99 2-year Squaretrade warranty so I bought it there to save on the phone and insurance. vette21man. I concede.. I just can't fathom spending $299.00 for the phone based on the mediocre in comparison features the Charge has. The Thunderbolt is a better bargain. 828 MB of Memory on a 4G phone with 1 ghz processor/Charge. The phone will definately lock up on you if you have too many apps open. Has no memory. The TB has 8 GB of phone memory. Both are equipped with a 32gb sd card, so no complaints. Samsung will have you on 2.2 for the life of your contract. Samsung just updated the Fascinate to Froyo 2.2 only a couple of months ago. 1600 vs 1400mah battery. Samsung wins. But look at talk times. http://www.phonescoop.com/phones/compare.php?id=3105&id=3043. TB Wins Also view the Quadrant benchmark scores for the TB versus the Charge. No Brainer and for $50.00 less, the TB wins hands down. i actually bought my mom a Thunderbolt and it had TERRIBLE battery life, i took it back after the first week with it and got a Charge and it's definitely better, not great but much better than the Thunderbolt and sure the processor is pretty underwhelming sometimes but mom hasn't run into anything it can't do just fine yet and that Super AMOLED + is just gorgeous! of course i wouldn't have gotten ANY of the LTE three but if you just have to have an LTE phone now then the Charge is really the best one. Well done Marauder, you hit it on the head. We can do "spec wars" all day long, but what really matters is your experience with the device. I was in the same situation last September in AT&T. I tried the Samsung Captivate and iPhone 4 (best of AT&T at the time). I eventually went home with the iPhone 4 because of user experience, app store, battery life, and having friends that loved it. Coming from using the LG CU405 (http://www.mobiledia.com/phones/lg/cu405.html), talk about an upgrade! Still happy with my purchase, but it's always fun looking at what's next. Research and try before you buy! Verizon needs to price it lower. 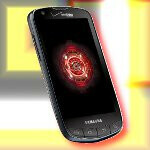 I plan on getting the Droid Charge on my next upgrade, which is after July 7th. I'm worried that if I go through Amazon or some other company other than Verizon, I won't be able to keep my unlimited data plan.